This appears to be a circa 1924 1.5hp (possibly 2.5hp), two speed Villers-powered model. 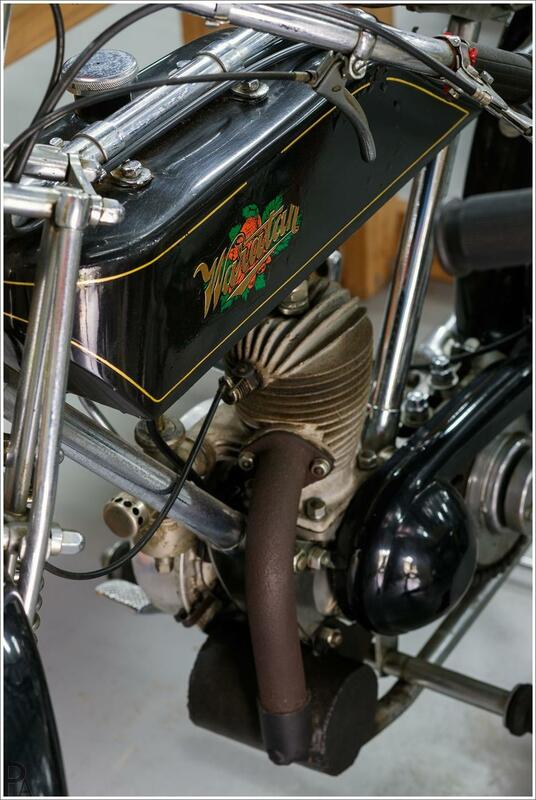 Waratahs were manufactured in Sydney, NSW from before 1911 to about 1948. A variety of engines were used over the years including Fafnir, Villiers, VTS, Norman & Excelsior. Early models used Sun frames fitted with Druid & Brampton forks.